The first forerunner of the present St. Edward's started in 1875 as a two-room building on the top of Forthill, overlooking Sligo town. 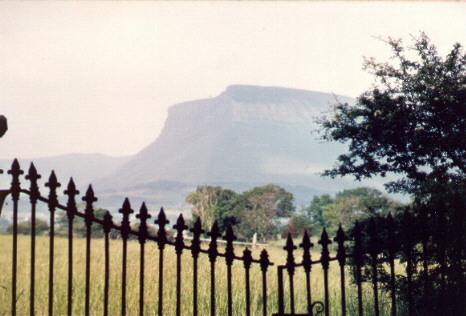 It also had a fine view of Ben Bulben, the flat-topped mountain that dominates the scenic coastline of north County Sligo. The sea, the long-gone star-shaped fort and Ben Bulben are the forming elements of St. Edward's school crest. Scoil Éamuinn Naofa is Irish (Gaelic) for St. Edward's School. The motto "Ní Neart go Cur le Chéile" means "Strength in Co-operation". In 1940 a six-room school in an adjacent site replaced the old building, which was dismantled. Its stone was used for the boundary wall of the new school. Its separate Primary Schools for girls and boys were amalgamated in 1975. 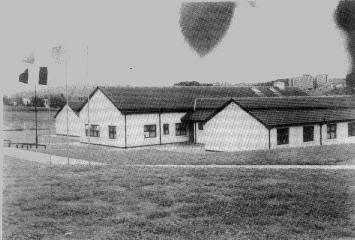 Our new school building was officially opened in 1995 at Ballytivnan in the valley below Forthill. It has eight classrooms, an Assembly Hall and various other rooms. A further four classrooms are planned. But a school is more than stones and concrete. At present we are 275 students and 13 teachers. The feet of thousands of people - managers, teachers, parents and students - have crossed the thresholds of these buildings since 1875. To what lands, through what continents do their footprints lead? Trace all those paths to find the complete history of St. Edward's.